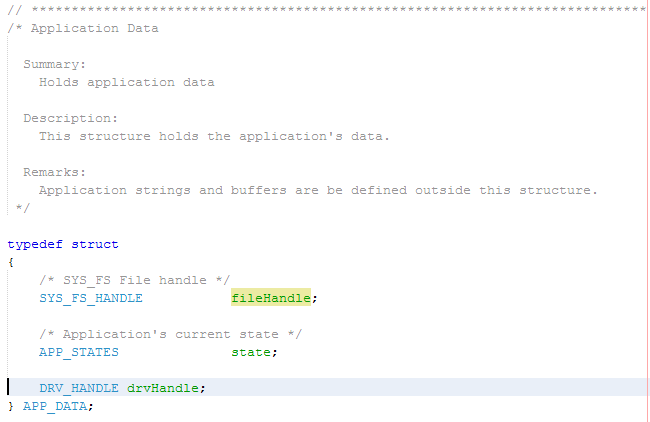 This file defines application states, data and APIs. The application states are explained in the next section. The app.h file also defines the global application data structure which is used by the application. state: This variable holds the current state of the application. drvHandle: This variable holds the driver handle. This file contains the application state machine and implements the functions. A brief description of the application states follows. In this state, an event handler(APP_SYSFS_EventHandler) is registered with the FileSystem. This event handler is invoked if there is a "Mount" or "Unmount" of the SD Card media. The application waits for the SD Card to be successfully detected and mounted. The application waits for the TCP/IP stack to be ready. The application initializes the camera driver and starts the camera module. 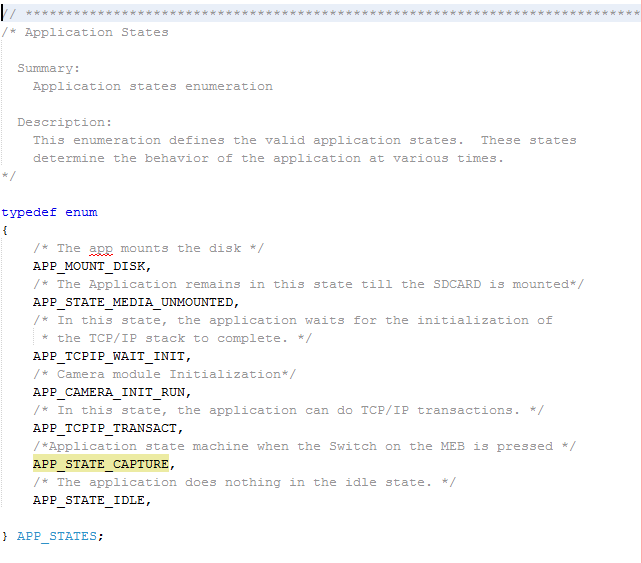 The application checks to see if there is an IP change and will communicate to the USB console. Also, an LED is toggled in this state. This application state will write the frame buffer contents to a file on a key-press event.